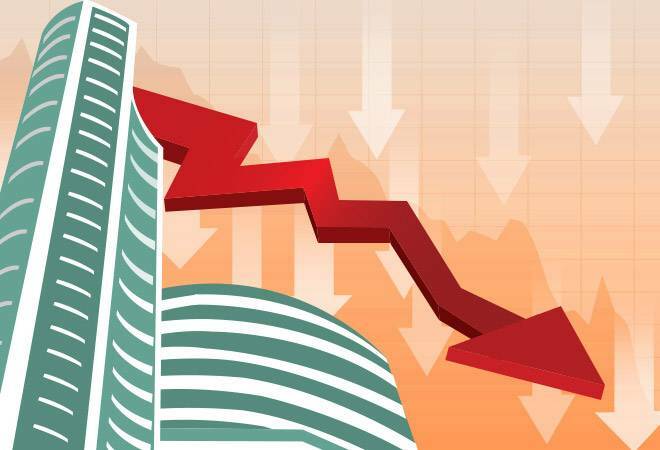 The Sensex fell over 200 points in early trade today tracking heavy selloff in global equities after concerns over US-China trade war resurfaced. Global investor sentiment turned weak after uncertainty over negotiations between the US and China countries during the next 90 days rose. US President Donald Trump and his Chinese counterpart Xi Jinping agreed to a truce at the G20 meet. Trump, however, muddied the waters by opening the possibility of an extension. "The negotiations with China have already started. Unless extended, they will end 90 days" from Saturday, Trump tweeted. Similarly, the Nifty was trading 75.90 points, or 0.70 per cent, lower at 10,793.60. Top Sensex losers were Tata Motors (1.99%) , IndusInd Bank (1.96%) , Tata Steel (1.89%) and Vedanta (1.77%). ONGC (1.23%), NTPC (0.80%), Adani Ports (0.28%) and Sun Pharma (0.25%) , were the top Sensex gainers. Meanwhile, the rupee opened 17 paise lower at 70.67 against the US dollar in early trade. Brent crude, the international benchmark, was trading 1.92 per cent lower at $60.89 per barrel. Domestic investors were also cautious ahead of the outcome of the Reserve Bank of India's fifth bimonthly monetary policy meeting for 2018-19. Market breadth was negative with 554 stocks falling compared to 1078 rising on the BSE. On a net basis, foreign portfolio investors (FPIs) sold shares worth Rs 55.89 crore Monday, and domestic institutional investors (DIIs) were net sellers to the tune of Rs 521.38 crore, provisional data available with BSE showed. Asian stocks sank Wednesday after Wall Street plunged amid confusion about what Washington and Beijing agreed to in a tariff cease-fire. Hong Kong's Hang Seng index fell 1.6 percent to 26,840.74 points and the Shanghai Composite Index lost 0.7 percent to 2,647.55. Tokyo's Nikkei 225 lost 0.4 percent to 21,946.94 while Sydney's S&P-ASX 200 retreated 1.2 percent to 5,641.50. Seoul's Kospi shed 0.6 percent to 2,102.17 and benchmarks in Taiwan, New Zealand and Southeast Asia also declined. Investor confidence in the US-China agreement faltered after confusing and conflicting comments from President Donald Trump and some senior officials. That revived fears that the disagreement between the two economic powerhouses could slow the global economy. The Standard & Poor's 500 slid 3.2 percent to 2,700.06. The Dow Jones Industrial Average lost 3.1 percent to 25,027.07. The Nasdaq composite lost 3.8 percent to 7,158.43. Tech companies, banks and exporters including Boeing and Caterpillar all declined.